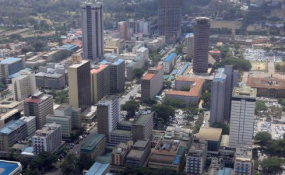 Africa: Developing Prosperous and Inclusive Cities in Africa - National Urban Policies to the Rescue? African cities will continue to expand—with or without government support. But strategic development of urban areas can ensure that rapid urban population growth drives economic productivity and better quality of life within a healthier local environment. Functional multilevel governance is a precondition to realizing this "urbanization dividend" — the positive dynamic through which the rapid growth of urban populations enables economic and human development. National governments across Africa can enhance the effectiveness and accountability of multi-level governance by legally clarifying the roles and responsibilities of different international, national, and local actors. National governments are typically best placed to oversee matters such as the coordination of policy and regulatory frameworks; the efficiency and appropriateness of municipal boundaries; water basins; regional power grids; and intercity transport routes. In contrast, housing, sanitation, waste management, and urban transport benefit from local negotiation and coordination. National Urban Policies (NUPs) emerged from Habitat III in 2016 as the policy instrument through which national governments can engage and shape an urbanizing world. They are particularly important in Sub-Saharan Africa, where urbanization is rapid and local governments are typically weak. NUPs can bring greater coherence and legitimacy to authorities and agents in cities and—critically—recalibrate the balance of power shared by different levels of government, state-owned enterprises (SOEs), civil society and the private sector. Copyright © 2018 Coalition for Urban Transitions. All rights reserved. Distributed by AllAfrica Global Media (allAfrica.com).